Earlier this week, the U.S. Department of Education (USDE) released a new batch of final regulations for the Every Student Succeeds Act (ESSA)â€”bipartisan legislation that reauthorized the Elementary and Secondary Education Act (ESEA). These rules cover the lawâ€™s accountability, reporting, and state planning provisions of ESSA and come on the heels of an earlierâ€” and highly controversialâ€” set of proposed regulations for the lawâ€™s so-called â€œsupplement-not-supplantâ€ provisions. While final rules for ESSAâ€™s supplement-not-supplant provisions are still being worked out, this weekâ€™s set of final regulations make a number of important changes to the draft version released earlier this summer. In many respects these final rules stipulate a more realistic timeline for the lawâ€™s implementation. For instance, states now have until the 2018-19 academic year to identify the lowest 5 percent of schoolsâ€” schools that would then be eligible for comprehensive improvement under ESSAâ€” whereas before that requirement would have gone into effect in the 2017-18 school year under the earlier proposal. Similarly, state ESSA plans are now due by April 3 or September 18, 2017 in order to give state education agencies more time to meaningfully engage stakeholders ahead of the lawâ€™s accountability system going into effect (another aspect of ESSA that will not be fully implemented until the 2018-19 school year). Of particular note for the CTE community are other rule changes governing the lawâ€™s accountability system, specifically the new ESSA requirement that state accountability systems include at least one non-academic measure of school quality or student success which, under ESSA, may include measures of career readiness. Under the earlier draft version these additional indicators would have needed to be supported by research finding that â€œperformance or progressâ€ on the measure increases student academic achievement or graduation rates. Advance CTE, along with the Association for Career and Technical Education (ACTE) urged USDE to broaden this standard slightly to ensure that a greater number of high-quality career readiness indicators could be incorporated into statesâ€™ new ESSA accountability systems. Encouragingly USDE heeded this suggestion and the final rule now requires that such measures, â€œincrease student learning, such as grade point average, credit accumulation, or performance in advanced coursework, or for high schools, graduation rates, postsecondary enrollment, persistence, or completion, or career success.â€ A summary of these final rules are available here and the full document can be found here. In other ESSA-related news, USDE recently released new non-regulatory guidance for states and local districts to support the lawâ€™s ongoing roll-out. These releases covered topics ranging from meeting the lawâ€™s new English Language Learner requirements under Title III, guidance for how to effectively use ESSA Title II funding to support teachers and high-quality instruction, and additional guidance aimed at helping states and districts provide a â€œwell-rounded educationâ€ under Title IV of the new law. Be sure to check back here next week for another update on statesâ€™ efforts to implement ESSA. Just before the first session of the 114th Congress was set to conclude, lawmakers passed two key pieces of legislation before heading back home for the holiday season. The first among these was a rewrite of the Elementary and Secondary Education Actâ€” the primary federal K-12 education law which has been due for reauthorization since 2007. The â€œEvery Student Succeeds Actâ€ (ESSA) substantially rolls back federal authority and responsibilities within the context of the new law by providing states and local communities significant flexibility for how to implement the various components of ESSA. Earlier this month the House passed ESSA by a margin of 359 to 64, which was then taken up and passed by the Senate on a similar bipartisan margin of 85 to 12 shortly after, and was signed by the President last week formally enacting ESSA into law. ESSA contains many promising Career Technical Education (CTE)-related provisions such as a strengthened requirement that state academic standards be aligned with state CTE standards, expanded college and career guidance programs, and an increased focus on CTE student performance data. Notably, a â€œwell-rounded educationâ€â€”a key concept that the law seeks to promoteâ€” now includes CTE as part of the statutory definition. Earlier this week ESSA was officially enrolled and is now available to view in its entirety here. NASDCTEc applauds the passage of this landmark legislation and is looking forward to the upcoming implementation process where states and local school districts will have several key opportunities to coordinate, align, and strengthen supports for CTE. Throughout most of 2015, Congress has struggled to come to consensus on how to fund the federal government for Fiscal Year (FY) 2016. After missing the initial FY 2016 funding deadline on October 1, Congress passed a series of stop-gap measuresâ€” known as continuing appropriations resolutions (CR)â€” that temporarily extended previous FY 2015 funding levels in an effort to avert a government shutdown this past autumn. These CRs also served the dual purpose of providing additional time for lawmakers to negotiate a broader agreement on federal spending for the remainder of FY 2016. This negotiation process unfolded in two interrelated stages. Following the passage of the first CR in October, Congress and the Obama Administration announced and later ratified a two-year budget deal that provided much-needed relief from the Budget Control Actâ€™s sequester capsâ€” current legislative requirements that constrain federal spending on domestic programs, such as the Perkins Actâ€™s basic state grant (BSG) program, into the next decade. This agreement increased these caps for FY 2016 and FY 2017, but left the important task of designating specific funding amounts for programs to separate appropriations legislation. Last week, this type of agreementâ€” known as an omnibus that combines several appropriations bills into one comprehensive spending packageâ€”was unveiled by Congressional negotiators last week and quickly passed by both Chambers before the President signed the measure into law. The omnibus provides level funding for the Perkins Act BSG program for FY 2016 and restores earlier proposed cuts to the lawâ€™s national programs section, which supports CTE research and technical assistance projects. While other education and workforce development programs received modest funding increases from this legislation, those programs are largely authorized by laws that were recently renewed by Congress such as ESSA and the Workforce Innovation and Opportunity Act (WIOA)â€” a fact that underscores the importance of Congress taking up Perkins reauthorization in the second session of the 114th Congress. New Acting U.S. Secretary of Education John King visited Westinghouse High School in Pittsburgh, PA last week to tour the schoolâ€™s CTE programs. More on the visit here. The American Federation of Teachers (AFT) and IBM called for the reauthorization of the Perkins Act in a U.S. News and World Report Op-Ed this week. Read the piece here. The Technical Education and Career Help (TEACH) Act was introduced last week in the Houseâ€” a companion bill to the Creating Quality Technical Educators Act introduced earlier this year in the Senate. The bill aims to strengthen the CTE teacher pipeline by supporting partnerships between LEAs and teacher preparation programs among other positive provisions. Read the bill here. USDE recently announced that they will host a webinar on their ongoing â€œExperimental Siteâ€ initiative for dual and concurrent enrollment programs on January 13, 2016. Letters of interest are due no later than February 1, 2016 and additional information on this particular Ex-Site effort is located here. Register for the webinar here. The Workforce Data Quality Campaign recently released its second annual â€œMastering the Blueprintâ€ report which assesses state progress towards strengthening and expanding their workforce data infrastructure. Read the report here. 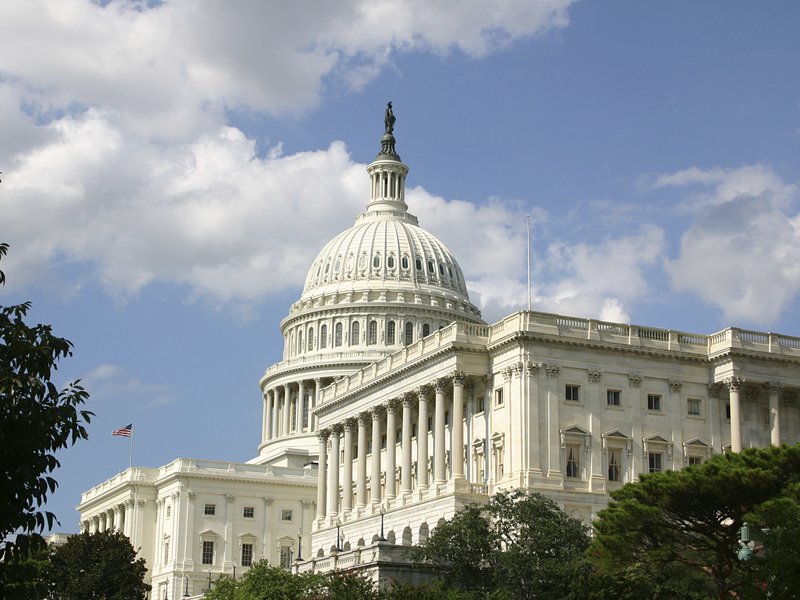 Congressional negotiators have announced an agreement on the long overdue reauthorization of the Elementary and Secondary Education Act (ESEA)â€” the law formerly known as No Child Left Behind (NCLB). Due for reauthorization since 2007, lawmakers have struggled to find consensus for how to address NCLBâ€™s most readily apparent flaws while honoring its long legislative legacy rooted in the civil rights movement. As we shared earlier this summer, both the HouseÂ and the Senate passed respective bills to reauthorize ESEA. Since that time both Chambers have been working on a bipartisan and bicameral basis to develop a framework agreement that would serve as the basis for a compromise between the two proposals. Last week that framework was announced along with the creation of a formal conference committeeâ€” a move that has been exceptionally rare over the past decade. ESEA conferees were announced last week and met twice before approving this framework (along with a few amendments) last Thursday by a margin of 39-1. A summary of this framework agreementâ€” now known as the â€œEvery Child Succeeds Actâ€ or ESSAâ€” can be found here. It is important to note that this agreed upon framework must now be turned into a final bill and Congressional staff are now busy translating the aspects of this agreement into formal legislative text. That text must then be approved by both Chambers of Congress and signed into law by the President. The conference report and final text of ESSA is expected to be available on November 30th. The House is expected to consider the legislation shortly after this followed by the Senate. Lawmakers are aiming for final passage before the end of this December. While the official legislative text has not been finalized, ESSA seeks to significantly roll-back the federal role in K-12 education by providing states broad authority (and flexibility) for how to implement the law. A broad overview of the agreementâ€™s main contours can be found here. NASDCTEc will provide a detailed analysis of ESSAâ€™s CTE-related provisions of interest once it has been finalized and will continue to keep the CTE community abreast of this ongoing reauthorization effort. As we shared previously, Congress passed and the President signed into law the â€œBipartisan Budget Act of 2015â€ (BBA) which provides $80 billion in sequester relief over the next two fiscal years by temporarily raising current limits on federal spending (known as sequester caps) through FY 2017 for both defense and non-defense discretionary programs. The deal also suspends, but does not raise the nationâ€™s â€œdebt ceilingâ€ through March 15, 2017 putting the twin issues of federal spending and the nationâ€™s debt limit off until after the upcoming 2016 presidential election. Currently the federal government is operating on a â€œcontinuing appropriations resolutionâ€ (CR) which temporarily extended FY 2015 funding levels into the current 2016 federal fiscal year which began on October 1st of this year. This CR expires on December 11th, 2015 and Congress must act before that time to pass funding legislation to avert another government shutdown. Although the BBA agreement provides an overall increase for how much funding is available to Congressional appropriators for federal Fiscal Years 2016 and 2017, those same lawmakers must still pass separate legislation designating specific dollar amounts for individual agencies and departments which administer federal programs such as the Carl D. Perkins Act (Perkins). That process is currently underway and ahead of it NASDCTEc and the Association for Career and Technical Education (ACTE) sent a letter to the Chairmen and Ranking Members of the House and Senate Appropriations committees urging them to restore Perkins funding to at least pre-sequestration levels or $1.123 billion for the lawâ€™s basic state grant program. As a reminder Perkins derives its funding from the Labor-HHS-ED appropriations bill whose subcommittee has been given an overall allocation of $161.69 billionâ€”a $5 billion increase over the FY 2015 level. That extra $5 billion in the FY 2016 Labor-HHS-ED 302(b) allocation must now be divided up among many programs, including Perkins, that are all competing for a portion of these newly available funds. In an effort to ensure that Perkins funding is restored through this process, please be sure to contact your member of Congress to remind them about the importance of investing in CTE.Â As the federal appropriations process continues and the December 11th deadline draws closer, be sure to check back here for more updates on Perkins funding. Earlier this month two separate proposals to boost federal financial aid support for postsecondary CTE programs were introduced in the House. The first of these, known as the Jumpstarting our Businesses by Supporting Students (JOBS) Act, was introduced by Reps. Cedric Richmond (D-LA) and Brenda Lawrence (D-MI). The JOBS Act is a companion bill to an earlier Senate proposal sponsored by Sens. Tim Kaine (D-VA) and Kelly Ayotte (R-NH). The legislation aims to change current program edibility requirements for the federal Pell grant program to serve more students who are enrolled in qualifying shorter-term postsecondary CTE programs. The CTE Opportunity Act, another companion bill to an earlier Senate proposal, was recently introduced by Reps. Tammy Duckworth (D-IL) and Ryan Costello (R-PA). House CTE Caucus co-Chairs Reps. Glenn â€œGTâ€ Thompson (R-PA) and Jim Langevin (D-RI) also cosponsored this bill which would increase access to federal financial aid available under Title IV of the Higher Education Act for qualifying shorter-term postsecondary CTE programs. Read more about the legislation here. NASDCTEc supported both of these proposals and looks forward to the reauthorization of the Higher Education Act where this policy recommendation and many more can be fully realized. The Obama Administration recently announced a new experimental site program (made available under HEA) that will expand eligibility for the federal Pell grant program to students who are concurrently or dually enrolled in postsecondary coursework. The U.S. Department of Education (USDE) is currently inviting applications from qualifying programs for the 2016-17 academic year and hopes to support up to 10,000 students. More here. USDEâ€™s Office of Career, Technical, and Adult Education (OCTAE) recently announced a new initiative titled â€œPotential Role of Secondary Career and Technical Education Programs in Preparing Students for Apprenticeship Programsâ€. The National Career Technical Education Foundation (NCTEF) has been selected to provide support to this project and more on this announcement can be found here. USDE has also recently unveiled a new transparency agenda aimed at improving the postsecondary accreditation system. Read more about the effort here. The Obama Administration announced more than $375 million in public and private funding to support â€œNext-Generationâ€ high schoolsâ€”an effort to fundamentally redesign the high school experience by focusing on many of the elements contained in a high-quality CTE program of study. More on the announcement here. A lot has happened over the past few weeks on Capitol Hill, particularly with regards to Congressional efforts to reauthorize key pieces of legislation for K-12 and postsecondary education. With fall in full swing, we wanted to take a moment to re-cap all of the activity over the past few weeks as we look ahead for what the rest of the year has in store for the Career Technical Education (CTE) community. Below is Part II in a two-part series of autumnal legislative updates. Late last month, the Senate Career Technical Education (CTE) Caucus hosted a briefing for congressional staff titled â€œPostsecondary Pathways to Success: Strengthening Career and Technical Education in the Higher Education Act.â€ John Cech, Deputy Commissioner for Academic and Student Affairs for the Montana University System who is also a NASDCTEc member and State CTE Director for Montana, participated in this briefing. Earlier this month, U.S. Secretary of Education Arne Duncan announced that he will resign from his post at the end of the year. Duncan is the longest serving cabinet member in the Obama Administration and came into the position after serving as CEO of Chicago Public Schools for seven years. John B. King Jr., who has been Deputy Secretary of Education since January of this year, will replace Duncan as the next Secretary of Education pending Senate approval. Duncanâ€™s tenure as the head of the U.S. Department of Education (ED), particularly the ESEA flexibility system granting waivers to states from many provisions contained in No Child Left Behind (NCLB), has been one of the main motivations behind Congressional activity to reauthorize the Elementary and Secondary Education Act (ESEA) this year. As we have shared previously, both Chambers of Congress were successful in passing rewrites of the law earlier this summer. Currently, lawmakers from the Senate and House Education Committees have been engaged in conference negotiations to reconcile the differences between the two bills. These discussions are still ongoing. More recently, Democratic Senators Murphy (D-CT), Warren (D-MA), and Booker (D-NJ) hosted a roundtable discussion with Secretary Duncan and Deputy Secretary King focused on accountability issues within ESEA reauthorization. Holding states and local communities accountable for student achievement has been one of the most polarizing issues during the reauthorization process for ESEA and many Congressional Democrats, along with the White House, hope to strengthen such accountability provisions in a final bill when conference negotiations wrap-up. Despite the progress being made in ESEA conference negotiations, a pathway forward for a bill containing stronger accountability requirements than what is currently in either the Senate or the House rewritesâ€” something the Obama Administration and many Democrats would like to seeâ€” remains an uphill battle. As with much of the Congressional agenda this fall, the outcome of the race to replace Speaker Boehner will likely have a significant impact on ESEAâ€™s chances of passage in the 114th Congress. As the Thomas B. Fordham Institute points out, ESEAâ€™s chances are a hard â€œmaybeâ€ at this point. Congressional efforts to reauthorize HEA are still ongoing and in lieu of a comprehensive proposal from Congress, the Obama Administration has continued to prioritize higher education issues. For instance the Office of Management and Budget, recently released the Admisntrationâ€™s final set of â€˜Agency Priority Goalsâ€™ which outlines EDâ€™s objective to increase the percentage of adults aged 25-34 who have an associateâ€™s degree or higher to nearly 50 percent by 2017. Late in September, ED also released much anticipated guidance for experimental sites who are pursuing innovative models of awarding federal financial aid for competency-based education (CBE) programs. These sites were first announced in 2014 as part of the experimental sites initiative authorized under HEA. The new â€œCBE Experiment Reference Guideâ€ can be used both for the institutions and accrediting bodies participating in the initiative, as well as for institutions who might like to pursue CBE programs in the future. More information on the guidance can be found here. U.S. Undersecretary of Education Ted Mitchell has also announced that ED intends to expand this initiative by the end of the year. Another round the experimental sites initiative was announced earlier this week. Named the â€œEducational Quality through Innovative Partnershipsâ€ (EQUIP) experiment, ED is currently soliciting applications to support partnerships between colleges and universities and â€œnon-traditionalâ€ providers of education, such as shorter-term job training programs or Massive Open Online Courses (MOOCs). Eligible programs would need to lead to a degree or certificate, articulate to academic credit, and be aligned to high-demand, high-growth economic sectors. More information on the announcement here. Earlier this summer, the White House celebrated innovation within CTE and First Lady Michelle Obama announced that ED and her officeâ€™s â€œReach Higher Initiativeâ€ would work together to launch a mobile app development challenge to create a user friendly tool for students to learn more about career pathways and other educational opportunities available to them. This month the First Lady officially launched the competition, making available $225,000. Applications are due no later than December 6, 2015â€”more information on the challenge can be found here and here. More than eighty colleges and universities announced their collective commitment to a new, more holistic, college application process that focuses more on student portfolios of work and less on entrance exams. More on the effort here. Senators Bennet (D-CO) and Rubio (R-FL) introduced the Higher Education Innovation Act, a bill that would create a five-year pilot program that offers an alternative pathway, focused on student outcomes, for institutional accreditation and related access to federal financial aid. Read the press release here. Senate CTE Caucus co-chairs, Kaine (D-VA), Portman (R-OH), and Baldwin (D-WI), along with Senator Capito (R-WV), introduced the â€œCreating Quality Technical Educators Actâ€. The bill would expand HEAâ€™s teacher residency grant program to support more schools in recruiting and preparing CTE teachers by strengthening partnerships between secondary and postsecondary institutions. NASDCTEc endorsed and supported this legislation and more on the bill can be found here. The STEM Education Act was signed into law by President Obama late last week. The legislation formalizes computer science within the statutory definition for â€œSTEM educationâ€ which is used for grant making opportunities through many federal agencies. More on the bill can be found here. The Association of Community Colleges (AACC), the Association of Community College Trustees (ACCT), and Higher Ed for Higher Standards (HEHS) announced yesterday that they will partner together to implement higher academic standards in secondary school to more effectively prepare students for college and career success. More information is available here and here. September 30th is quickly approaching and with it an end to the current 2015 federal Fiscal Year (FY). With only 12 legislative days left on the Congressional calendar until this deadline and the Congressional August recess set to begin later this week, lawmakers and the Obama Administration are still grappling with how to fund the federal government beginning on October 1stâ€”the first official day of FY 2016. Congressional appropriations committees in both the House and the Senate successfully passed the 12 necessary funding bills to fund federal programsâ€”an achievement not seen in over six years and aided by unified Republican control of both Chambers of Congress. Despite this accomplishment, these funding bills all adhere to the Budget Control Act of 2011â€™s (BCA) statutorily mandated â€˜sequester capsâ€™ thatÂ dramatically reduce funding for many domestic programs, including education and relatedly the Carl D. Perkins Act (Perkins) which would receive approximately $3.6 million in reduced funding for national activities while providing level funding for the lawâ€™s state grant program. These caps significantly limit the amount of funding available for all federal discretionary programs, severely impacting education and other domestic spending priorities that are dear to Congressional Democrats and the Obama Administration. As such, lawmakers and the White House have been in a protracted stand-off over how to fund the federal government later this fall. In response to the gridlock, nearly all Congressional Democrats, and an increasing amount of Republicans, have begun to call for a broader budget deal outside the scope of the normal appropriations process. Â Such a deal could address the underlying problem of the sequester caps, even temporarily, to relieve some of the fiscal pressures created by the BCA. Much like what the Bipartisan Budget Act of 2013 did for the previous two fiscal years, an agreement later this year would be the best case scenario for making much needed investments in education and workforce development programs possible, particularly for the Perkins Act. NASDCTEc remains committed to this type of agreement and we encourage the CTE community to urge members of Congress to tackle this challenge head-on, rather than passing stop-gap measures such as a CR at the expense of longer term agreements that allow for greater investments in critically important programs such as the Perkins Act. Be sure to check back here for more updates and analysis as things continue to play out on Capitol Hill. As weâ€™ve shared previously, both education committees in the House and the Senate have prioritized the reauthorization of the Higher Education Act (HEA) in this Congress. Due for reauthorization since 2013 and extended to this year for further consideration, the law governs nearly all federal financial aid programs for postsecondary education. Issues such institutional accreditation, supporting innovation in postsecondary education, financial aid risk sharing, the role of consumer information and data, and campus sexual assault have all been the subject of hearings and discussions in both Chambers as lawmakers gear up for the lawâ€™s renewal. In the Senate, HELP Committee Chairman Lamar Alexander (R-TN) and Ranking Member Patty Murray (D-WA) announced four staff-level working groups earlier this year focused on four key areas that they hope to address in the upcoming reauthorization process: accountability, accreditation, college affordability / financial aid, and campus sexual assault / safety. It is hoped that these groups can work through these issues on a bipartisan basis prior to the committee and later the full chamber considering full reauthorization legislation. More recently, the Committee held a hearing exploring barriers to innovation in postsecondary education. Members focused on the role that regulations (and at times overregulation) have in stymieing innovation within the higher education system, how to address current funding structures that are tied to the credit hour in order to better support competency-based learning programs, and the need to expand HEAâ€™s experimental sites initiative to allow for more experimentation, among other topics. More on the hearing can be found here. In the House, members of the Education and Workforce (HEW) Committee introduced a series of four bipartisan higher education bills that they hope to piece together later on to form the basis for their proposal for the lawâ€™s renewal. These bills seek to simplify the student aid process, improve consumer access to relevant data and information to make informed decisions on where to go to school, and strengthen loan counseling to improve studentsâ€™ financial literacy when making decisions about their financial aid. Of particular note is the Flexible Pell Grant for 21st Century Students Act (H.R. 3180) introduced by Reps. Elise Stefanik (R-NY), Carlos Curbelo (R-FL), and Ruben Hinojosa (D-TX) which would reinstate â€œyear-roundâ€ Pell Grants for qualifying students in accelerated programsâ€”a move NASDCTEc supports in future HEA legislation. More on that bill can be found here and information related to the all of the bills is located here. The Obama Administration has also repositioned itself ahead of possible HEA consideration. Speaking at UMBC earlier this week, U.S. Secretary of Education Arne Duncan delivered a speech on HEA which encouraged the higher education community to not just focus on the rising specters of college debt and cost, but also on student outcomes and educational quality. More on his remarks can be found here. The Student Privacy Protection Act (H.R. 3157) was recently introduced by Reps. Todd Rokita (R-IN) and Marcia Fudge (D-OH) of the HEW Committee. The bill seeks to update the Family Educational Rights and Privacy Act (FERPA) by barring schools and private companies from selling student information, creating minimum data security protocols, and allowing parents greater access and control over their childâ€™s information. The legislation is one of several proposals from both Chambers of Congress that seek to modernize the law to reflect changes in the digital education landscape. At present, the U.S. Department of Education (USDE) enforces provisions under FERPA governing how companies handle student data. However, competing proposals in the Senate would hand that responsibility over to the Federal Trade Commission (FTC) to enforce these rules more vigorously. USDE and the U.S. Department of Labor (DOL) are requesting public comment on proposed templates and data definitions for performance information required under the Workforce Innovation and Opportunity Act (WIOA). The comment period is open for 60 days and must be submitted by September 21 at: www.regulations.gov (Docket ID is ETA-2015-0007). Last week marked WIOAâ€™s first birthday. The final text of the Senateâ€™s Every Child Achieves Act (S. 1177) was released this week. The bill is the Chamberâ€™s proposal to reauthorize the Elementary and Secondary Education Act (ESEA) and now bicameral negotiations are about to begin to reconcile it with the Houseâ€™s ESEA proposal the Student Success Act (H.R. 5). More information on the debate can be found here and a great breakdown of where key issues stand in the wider discussion can be found here. Yesterday afternoon, the Senate voted 81-17 in favor of the Every Child Achieves Act (S. 1177), the Chamberâ€™s proposal to reauthorize the Elementary and Secondary Education Act (ESEA). While 14 Republicans and three Democrats voted against ECAAâ€™s passage for dramatically different reasons, the Chamberâ€™s overall support for the bill remained strongly bipartisan and marks a significant step forward in rewriting the nationâ€™s largest K-12 education law which has been due for renewal since 2007. The effort in the Senate to reauthorize ESEA has been driven by HELP Committee Chairman Lamar Alexander (R-TN) and Ranking Member Patty Murray (D-WA) who shepherded the bipartisan bill out of Committee in April. A total of 66 different amendments, including Senator Alexander and Murrayâ€™s comprehensive substitute amendment, were passed as part of yesterdayâ€™s vote with 13 being rejected. On the whole, ECAA completely reimagines ESEAâ€™s accountability system, removing No Child Left Behindâ€™s (NCLB) â€œadequate yearly progressâ€ requirement. It would maintain the lawâ€™s annual assessment schedule and would require states to develop â€œchallenging academic standardsâ€ for all students. Notably, the bill would require states to report disaggregated data on student subgroups and identify low-performing schools, however it does not place a requirement for state or local intervention if achievement gaps are identifiedâ€”something that has been a point of strong contention for many civil rights groups and the Obama Administration. Many other big ticket amendments were considered during the Senate debate. The â€œA-PLUSâ€ amendment, a proposal that would allow states to block-grant their Title I funding for â€œany education purpose allowed under state lawâ€, was voted down mainly along party lines. One of Chairman Alexanderâ€™s amendments supporting school vouchers for low-income students had a similar fate. Another “opt-out” amendment that would have allowed parents to opt their childrenÂ outÂ from the billâ€™s mandated assessments also did not pass. Towards the end of the debate, a significant proposal from Senate Democrats to hold states accountable for their lowest performing schools and achievement gaps within student subgroups did not pass either. A compromise proposal that changes the underlying formula for Title I did pass, however the amendment’s provisions would not kick-in unless Title I is funded at much higher levels than it is currently. On the whole ECAA rolls back the federal governmentâ€™s role in K-12 education substantially, leaving many important educational decisions to states and local communities while rectifying many of the most problematic legacies â€˜left behindâ€™ by NCLB. Despite the bipartisan nature of the Senateâ€™s process, a pathway forward for full ESEA reauthorization remains highly uncertain. As mentioned above, many Congressional Democrats, civil rights groups, and the White House are strongly opposed to the absence of a stronger accountability system in ECAA. Conversely many Republicans, particularly those in the House, are vehemently opposed to any proposal that does not do more to streamlineÂ existing programs and limitÂ the federal role in K-12 education further. With the Senate and the Houseâ€™s work on their respective bills complete, it remains to be seen if their proposals can be reconciled via a formal conference or by way of behind-the-scenes negotiations later this year. Nevertheless, crafting a bill that can please each of these groups will prove to be extremely challenging. Be sure to check back here as the process unfolds later this year. NASDCTEc will be sure to provideÂ more updates and analysis for how these proposals will impact the CTE community as negotiationsÂ continue. Throughout last week, lawmakers on Capitol Hill began to take up their respective proposals to reauthorize the Elementary and Secondary Education Act (ESEA)â€”the nationâ€™s largest K-12 education law formerly known as No Child Left Behind (NCLB). On Wednesday, the House passed the Student Success Act (H.R. 5)â€”the Chamberâ€™s rewrite of NCLB. After being removed from full consideration earlier this year when House conservatives began to oppose the bill for not rolling back the federal role in K-12 education enough, H.R. 5 was finally brought to a vote where it was passed along partisan lines by an extremely slim margin of 218-213. Of note to the CTE community, the final bill would repeal the â€œhighly-qualifiedâ€ teacher provision, require states and local recipients of federal funding to report on CTE-related student outcomes, and require further integration of academic and CTE courseworkâ€”all priorities for NASDCTEc in ESEA reauthorization. Most notably, the â€œA-PLUSâ€ Actâ€”a Title I portability proposal that would have allowed states to fully block grant their Title I funding for â€œany educational purpose allowed under state lawâ€â€”was voted down by a 195-235 margin. The White House has repeatedly issued veto threats for the Student Success Act and Congressional Democrats vehemently oppose much of what is contained in the proposal. Read the Houseâ€™s Education and Workforce Committeeâ€™s press release on the billâ€™s passage here. NASDCTEc is currently working with a number of Senate offices on CTE-related amendments related to using CTE instructional strategies as a model for high school reform, further inclusion of CTE within ECAAâ€™s definition for core academic subjects, strengthened career counseling language, stronger support for dual and concurrent enrollment programs, and improved professional development programs for teachers and principals. So far, the Senate has passed a handful of amendments related to school library programs, greater support for Native American students, and a new effectiveness study to be conducted of all ESEA funded programs. Notably, Chairman Alexanderâ€™s school voucher amendmentâ€”a proposal that would have allowed Title I funds to be used by low-income students at public or private schools of their choiceâ€”was ultimately rejected by the Senate. Further debate of ECAA begins later today and through the week with a number of other CTE and non-CTE related proposals expected to be taken up. While the passage of ECAA is likely to occur this year, the pathway forward for a full ESEA reauthorization remains unclear. Reconciling ECAA and the Student Success Act will likely prove to be extremely difficult as both bills are dramatically far apart on many key issues related to the appropriate federal role in K-12 education as well as funding levels for many programs authorized under the law. Stay tuned throughout the week for more ESEA related action and be sure to check back here for updates and analysis of this process. As shared previously, President Obama formally kicked-off the FY 2016 budget and appropriations process this year with one clear message to Congressâ€” end sequestration in order to make vital reinvestments in our nationâ€™s domestic discretionary programs. At present, federal funding is constrained by specific limits required by the Budget Control Act of 2011 (BCA). These limits, also known as caps, are in place for each federal fiscal year and well into the next decade. They require Congressional appropriators to stay within those limits and if funding legislation exceeds those caps, the additional funds above each annual BCA cap are â€œsequesteredâ€ to bring them back down within the BCA funding ceiling for that particular year. The Presidentâ€™s budget proposal requested billions of dollars above these caps, calling for new investments in many programs, including CTE. While the Administration requested flat-funding for the Carl D. Perkins Act (Perkins) basic state grant program (BSG), it has sought an additional $200 million in funding for the American Technical Training Fund (ATTF)â€” a proposed competitive grant program for consortia of CTE stakeholders and employersâ€” as well as an additional $2 million to administer this new program. NASDCTEcâ€™s response to the budget can be found here. Since that time, Congress has been crafting budget resolutionsâ€” frameworks outlining the planned spending for the year and years to comeâ€” that would adhere to the BCA caps and essentially freeze FY 2016 funding at near current levels. In doing so, funding increases for most programs (including Perkins) become even less feasible and could further squeeze many education and workforce development programs which have already been cut dramatically since 2010. Despite these unfavorable headwinds, well over 100 members of Congress signed two separate letters to Congressional appropriators urging them to make a strong investment in the Perkins Actâ€™s BSG program in FY 2016. NASDCTEc has applauded the work of CTE Champions Reps. Glenn â€œGTâ€ Thompson (R-PA) and Jim Langevin (D-RI) in the House and the Senator Blumenthal (D-CT) in the Senate for spearheading these efforts in both Chambers of Congress. The letters, similar to NASDCTEcâ€™s own FY 2016 request, have urged Congressional appropriators to increase Perkins funding to pre-sequester levelsâ€” approximately $5 million above what the program received in FY 2014 and 2015. Make sure to thank your members of Congress for supporting CTE! Find out who signed-on here and here. As the FY 2016 budget and appropriations cycle continues, check back here for updates and analysis for what the CTE community should expect from the federal funding environment. The 114th Congress has been in full swing this spring, bringing with it warmer weather in D.C. and, surprisingly, the possibility of a bipartisan agreement to reauthorize one of the largest federal education laws in the country. 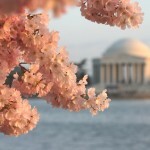 While tourists have flocked to the Capitol to gaze at the Cherry Blossoms, Congress has been eyeing the possibility of reauthorizing the Elementary and Secondary Education Act (ESEA)â€” more commonly known as No Child Left Behind (NCLB). The primary source of federal funding for K-12 education throughout the country, the law has been due for renewal since 2007, but has languished in a Congressional limbo due to widespread disagreement on how to appropriately navigate the nationâ€™s education system out of the NCLB era. 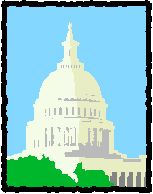 As with all federal education and workforce legislation, the first step in the ESEA reauthorization process has been for the House Education and the Workforce Committee (HEW) and the Senateâ€™s Health, Education, Labor, and Pensions (HELP) Committee to develop and pass proposals to renew and reform the current law. In the House the Student Success Act â€“ successfully passed on a partisan basis by the full Chamber in the 113th Congressâ€” was reintroduced in the early part of this Congress and passed the HEW Committee on a contentious, partisan basis. This legislation proposes to dramatically dissolve a majority of the current federal role in education, giving those responsibilities back to the states and their educational districts. Widely opposed by House Democrats and the Obama Administration, the Student Success Act made its way back to the House floor for the Chamberâ€™s full consideration in the early part of this year. Despite the backing from House Republican leadership and many in their Caucus, the bill was removed from consideration after outside conservative groups began opposing the legislation for not doing more to diminish the federal role in education. Since that time, the House has not made future plans to consider the Student Success Act. You can learn more about the bill and the HEW Committeeâ€™s plans for it here. In the Senate, the process seemed to be unfolding in much the same way. In January the new Chairman of the HELP Committee, Senator Lamar Alexander (R-TN), introduced a discussion draft to reauthorize ESEA and was similar in many respects to the Houseâ€™s proposal. Following this, an impromptu meeting at a favorite D.C. eatery between the Chairman and the new Ranking Member of the HELP Committee, Senator Patty Murray (D-WA), led to bipartisan negotiations on compromise legislation. The product of these months-long negotiations is the Every Child Achieves Act (ECAA)â€” the first bipartisan proposal for ESEA reauthorization in the 114th Congress. ECAA was successfully marked up by the HELP Committee in April and included an amendment from Senator Baldwin (D-WI) to add a requirement that student attainment of CTE proficiencies be incorporated into the lawâ€™s mandated report card system. ECAA also requires alignment between CTE standards and core academic standards which is an encouraging step as NASDCTEc works towards the further integration of the two. Â The bill would also eliminate the harmful â€œhighly qualified teacherâ€ provision from current lawâ€” a significant priority for NASDCTEc in this reauthorization. Another encouraging aspect of ECAA was the retention of elementary and secondary education counseling programs in Title IV of the legislation. Aspects of the Career Ready Act (S. 478) and the Career Choice Act (H.R. 1079)â€” both supported and endorsed by NASDCTEcâ€” found their way into this section of the proposed legislation before clearing the HELP Committee. The path forward for ESEA remains long and full of potential roadblocks. Nevertheless, it is encouraging to see this level of compromise on such a large piece of federal legislation. ECAA is widely expected to be considered by the full Senate sometime in the two weeks before or after the Memorial Day recess. However, the path forward for the Student Success Act in the House remains much more uncertain, throwing the wider reauthorization process into question. As this process continues, check back here for updates and analysis of this reauthorization process. Part II of this legislative update will be released tomorrow morning. Reauthorizing the Elementary and Secondary Education Act (ESEA) has been at the top of lawmakerâ€™s to-do lists since the 114th Congress began in January. Both the House Education and the Workforce (HEW) Committee and the Senate Health, Education, Labor, and Pensions (HELP) Committee have prioritized a complete overhaul of the law still known as No Child Left Behind (NCLB). Â However, recent developments have slowed the process down and thrown ESEAâ€™s reauthorization prospects into question. In the House, HEW Chairman John Kline (R-MN) reintroduced the Student Success Act (H.R. 5)â€” legislation that was passed by the House in 2013. With a few modifications and small changes, H.R. 5 cleared the HEW Committee earlier this month on a strict party line vote and is now under full consideration by the House. Overall the bill would significantly roll back the federal role in K-12 education and would make a number of substantial changes to NCLBâ€™s current structure (more information on the bill can be found here). Late last week, the House considered 44 amendments to the legislation focused on a wide range of issues. One of the most significant amendments adopted came from Rep. Bob Goodlattee (R-VA) which would allow local school districts to develop and use their own assessments in lieu of state tests. In total a dozen amendments were adopted, including one from Rep. Langevin (D-RI) and Rep. Thompson (R-PA) that would afford states additional flexibility to use Title I funding for work-based learning opportunitiesâ€”a measure that NASDCTEc has been supportive of. Despite several veto threats from the Obama Administration and vehement opposition from House Democrats, H.R. 5 seemed to be moving along to final passage late Friday afternoon. However in a surprise move, conservative groups began opposing the legislation for not going far enough to limit the federal role in K-12 education.Â With no Democratic support for the bill to count on, House Republican leaders were forced to delay consideration of the legislation for a yet-to-be determined period of time. The longer this delay lasts, the more unlikely passage of H.R. 5 becomes. As some have already pointed out, failure to pass a rewrite of ESEA will only perpetuate the U.S. Department of Educationâ€™s current waiver frameworkâ€” an increasingly unpopular (at least among members of Congress) series of state waivers Â from certain elements of NCLB. In the Senate, Chairman Lamar Alexander (R-TN) released a discussion draft for the reauthorization of ESEA and opened up the draft for public input last month. Like H.R. 5, this proposal would also significantly limit the federal role in K-12 education and seeks to increase flexibility for state and local decision making. Titled the â€œEvery Child Ready for College or Career Act of 2015,â€ the bill would eliminate the Adequate Yearly Progress and Highly Qualified Teacher provisions of NCLBâ€” a proposal NASDCTEc has long championed for throughout the reauthorization process. However, the draft would eliminate the Elementary and Secondary School Counseling program and has little to say regarding the importance of career readiness for the nationâ€™s studentsâ€” two issues that still need to be addressed as the bill continues to take shape. The draft served as the basis for several HELP committee hearings on ESEA reauthorization over the past few months and received lots of attention following its release despite its lack of Senate Democratsâ€™ input. More recently, HELP Committee Chairman Alexander and Ranking Member Patty Murray (D-WA) announced their intent to negotiate a bipartisan bill to reauthorize the lawâ€” a process that is still underway between the two. Nevertheless, the Committee remains optimistic that they will begin mark-up of a bipartisan bill sometime by the second week in March. As this process and more unfolds over the coming weeks and months, stay tuned here for updates and impacts as they relate to the CTE community. Earlier this month Senators Tim Kaine (D-VA), Tammy Baldwin (D-WI) and Rob Portman (R-OH) and co-chairs of the bipartisan Senate Career Technical Education (CTE) Caucus introduced the Career Ready Act of 2015 (CRA), a bill that seeks to promote career readiness in secondary school and helps to better align the Elementary and Secondary Education Act (ESEA) with the Carl D. Perkins CTE Act (Perkins). Specifically the bill would encourage states to incorporate multiple indicators of career readiness within their accountability systems and make this information available for public use and consumption. As NASDCTEc and Achieveâ€™s 2014 report pointed out last year, nearly half of states already have such indicators within their systems. The bill would also align career exploration course offerings and counseling to the needs of the local and regional economy and would encourage greater collaboration between ESEA, Perkins, and the recently passed Workforce Innovation and Opportunity Act (WIOA). Additionally, CRA would strengthen the existing Elementary and Secondary School Counseling grant programâ€” an existing program under ESEAâ€” by encouraging a stronger focus on career counseling, providing relevant professional development opportunities for counselors to use labor market information, and to build collaborative partnerships between community stakeholder groups such as schools, businesses, and local workforce investment boards. While the bill amends current law, the sponsors of the bill hope to incorporate aspects of this legislation into the wider ESEA reauthorization process. NASDCTEc proudly endorses this legislation and remains hopeful that Career Ready Act of 2015 will be used to infuse a newly reauthorized ESEA with stronger career readiness components. Late last week, NASDCTEc moderated a Senate CTE Caucus discussion panel exploring these issues at great length and looked for ways to support collaborative alignment between the Perkins Act and ESEA. The text of the bill can be accessed here. February typically ushers in some of the coldest months of winter, but it also marks CTE monthâ€” an entire month dedicated to lifting up and celebrating Career Technical Education around the nation. Congressional CTE champions in both the House and the Senate have been busy these past few weeks vocalizing their support and formally introducing resolutions acknowledging the occasion. At the beginning of the month Project Lead the Way (PLTW) co-hosted a CTE and STEM Reception on Capitol Hill in conjunction with the Senate CTE Caucus and the Association of Career and Technical Education (ACTE). Senators and their staff had the opportunity to see first-hand some of the wonderful work on display by PLTW students from Maryland, Virginia, and DC. Further into the month, the House CTE Caucus hosted a briefing titled â€œCTE 101: The Nuts & Bolts of Establishing a Qualified Workforceâ€ which was co-hosted by Caucus co-chairs Reps. Jim Langevin (D-RI) and Glenn â€œGTâ€ Thompson (R-PA). Kicking off the event, Congressman Thompson spoke at length about the value of CTE to every Congressional district and the need to strengthen and renew the Perkins Act. NASDCTEc Executive Director Kimberly Green participated in this panel and provided an overview of CTEâ€™s evolution over the past decade as well as priorities for Perkins reauthorization. The co-Chairs also took to the House floor in support of CTE and CTE monthâ€” their statements can be found here and here. Earlier this month, NASDCTEc joined nondefence discretionary (NDD) Unitedâ€” a national group of organizations dedicated to ending sequestrationâ€” in sending a letter to congress highlighting the harmful effects of the sequester on programs like the Perkins Act ahead of the Congressional FY 2016 budget and appropriations cycle. Read the letter here. The U.S. Department of Labor (DOL) released its Training and Employment Guidance Letter (TEGL) No. 19-14 this month in anticipation of a wider release for guidance and regulations for state and local implementation of the Workforce Innovation and Opportunity Act (WIOA). Read the letter here. The National Center for Education Statistics (NCES) released the fifth iteration of the Common Education Data Standards (CEDS) 5.0â€” a set of definitions used in the data collection such as statewide longitudinal data systems. The new standards add additional elements of interest to the CTE community such as participation in career pathways systems and are located here. The U.S. Department of Education (ED) recently released a new toolkit for establishing and sustaining employer-educator partnerships. Learn more about the initiative here. Caucus co-Chair Senator Tim Kaine (D-VA) kicked things off, sharing his personal experiences with CTE and describing his time as Governor of Virginia where the state incorporated CTE into its Governorâ€™s Academies initiative. The Senator also highlighted the recent re-introduction of the Educating Tomorrowâ€™s Workforce Act of 2015â€” legislation that was co-sponsored by fellow Caucus co-Chair Senator Rob Portman (R-OH). NASDCTEc was supportive of this bill last year and has applauded the renewed effort in this Congress to ensure students have access to high-quality CTE programs of study throughout the country. Read the full bill and press release here. Throughout the event, the importance of the Carl D. Perkins CTE Act (Perkins) to rural CTE was highlighted. In particular, panelists emphasized specific provisions in the law that have helped to support CTE in rural communities and underscored the significance of this critically important federal investment. Early yesterday morning, Chairman Kline addressed the American Enterprise Institute outlining his priorities for education reform in the 114th Congress and his plans for the House Education and the Workforce Committee (HEW). Although the Chairman did not elaborate further on these priorities, it is encouraging to see that CTE remains a central issue for the 114th Congress, particularly at a time when lawmakers are predominately engrossed with reauthorizing ESEA. No formal timeline for the reauthorization of the Perkins Act was offered during his remarks, although the Chairman did lay out an ambitious plan for ESEA reauthorization which mirrors that of the Senateâ€™s. Video of the event can be accessed here. On Wednesday, the Senate Health, Education, Labor and Pensions (HELP) Committee held its first hearing of the 114th Congress. Titled â€œFixing No Child Left Behind: Testing and Accountability,â€ the hearing focused on the annual testing provisions contained in current law which mandates 17 testsâ€” one in math and reading in grades 3 through 8, and once for each subject in high school, along with semi-regularÂ assessments in science in elementary, middle and high school. Six witnesses provided expert testimony regarding this issue and a majority (four out of the six) overwhelming supported maintaining these provisions. HELP Committee Ranking Member Patty Murray (D-WA) came out in support of the provisions as well saying, “Assessments help parents and communities hold schools accountable. . . If a school is failing students year after year, parents and communities deserve to have that information and be assured the school will get the resources it needs to improve.” Yet, fellow Democrats and even some Republicans on the Committee remained divided or somewhere in the middle on the contentious issue. For the time being, HELP Committee Chairman Lamar Alexander (R-TN) has sided with the latter camp, saying after the hearing that, â€œI think it’s OK to have an open mind on some questions, and mine is still open.” Nevertheless, the Chairmanâ€™s recently released discussion draft seeking to reauthorize the Elementary and Secondary Education Act (ESEA) would give states two options when it comes to testing: either maintain the current assessment scheme in current law with the ability to slightly modify the types of assessments, or allow states to come up with any testing scheme of their choosing. A recording of the hearing can be found here along with witness information, testimony, and other useful information. The HELP Committee is planning another ESEA hearing next week, on teachers and school leaders and has an ambitious timeline for reauthorizationâ€” a bill out of committee by the end of February and up to two weeks of floor time following that. Both Chairman Alexander and Chairman Kline, his counterpart in the House, have publicly stated they hope to have full ESEA reauthorization bills done by the end of March. The House Education and the Workforce (HEW) Committee held its organizational meeting on Wednesday where Chairman John Kline (R-MN) announced chairs of the various Subcommittees. Both Representatives Virginia Foxx (R-NC) and Todd Rokita (R-IN) will remain chairs of the Higher Education and Workforce Training and the Early Childhood, Elementary and Secondary Education Subcommittees respectively. Both have oversight responsibilities of interest to the CTE community, including the reauthorization of the Perkins Act. Committee Democrats, now led by Ranking Member Bobby Scott (D-VA), have yet to announce their assignments, although they did lay out some of their priorities in Scottâ€™s prepared remarks. The Committee also adopted its Oversight Plan which, among other things, outlines areas of particular interest for oversight and investigation in the new Congress, including the U.S. Department of Educationâ€™s ESEA waiver authority, various federally funded K-12 programs, regulations pertaining to costs and transparency in higher education as well as the implementation of the Workforce Innovation and Opportunity Act (WIOA). As we shared earlier this week, President Obama delivered his annual State of the Union address to Congress. The White House recently released a supplemental document outlining and expanding on several aspects of the speech. The document can be found here. The Senate HELP Committee has announced it will mark-up the Educational Sciences Reform Act (ESRA) on January 28. The legislation funds SLDS grants and helps build state and local data capacity among other positive aspects of the law. House Democrats have released a useful Frequently-Asked-Questions document on sequestration. As the Fiscal Year 2016 budget and appropriations process begins, sequestration will be a central feature of the debate. Find more information here.